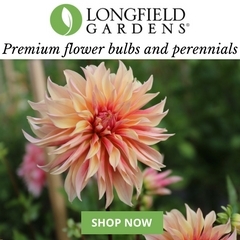 Longfield Gardens has joined American Flowers Week and Slow Flowers’ other channels (Slowflowers.com and the Slow Flowers Podcast) as a 2016 sponsor because this producer of high quality flower bulbs and perennials for the home gardener sees the value of backyard blooms. 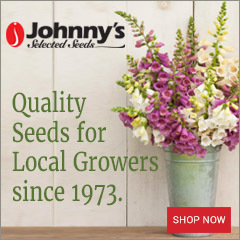 We’re so honored to have a chance to partner with Longfield and promote the timeless practice of growing a cutting garden. Yes, raising bulbs, perennials, annuals, herbs and ornamental shrubs in the garden — and clipping those stems for arranging into vases to decorate one’s interior spaces — is something passionate gardeners have done for generations. 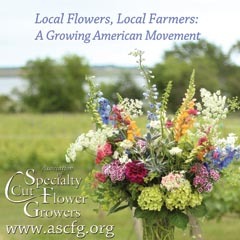 During the first half of the 20th century, many florists actually grew their own special flowers or greenhouse crops, a practice that is having a renaissance today among savvy floral designers! 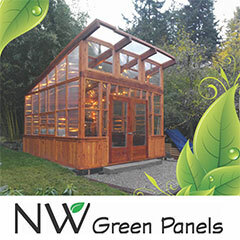 They may not have space for rows of flower crops, but they can plant a cutting garden for unique varieties that lead to one-of-a-kind designs. 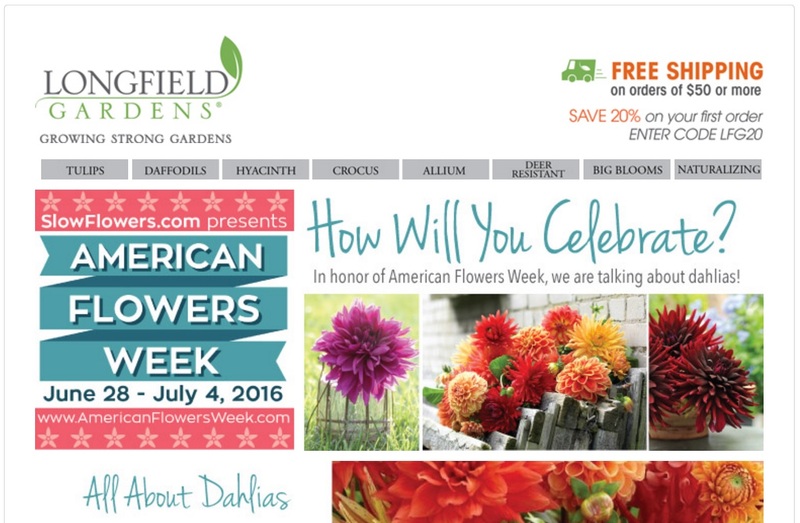 For American Flowers Week, Longfield Gardens is promoting the science and art of growing dahlias, offering customers all sorts of tips on selection, growing, staking, caring for and enjoying dahlias. Read the entire lineup of ideas here and follow links to more dahlia news. 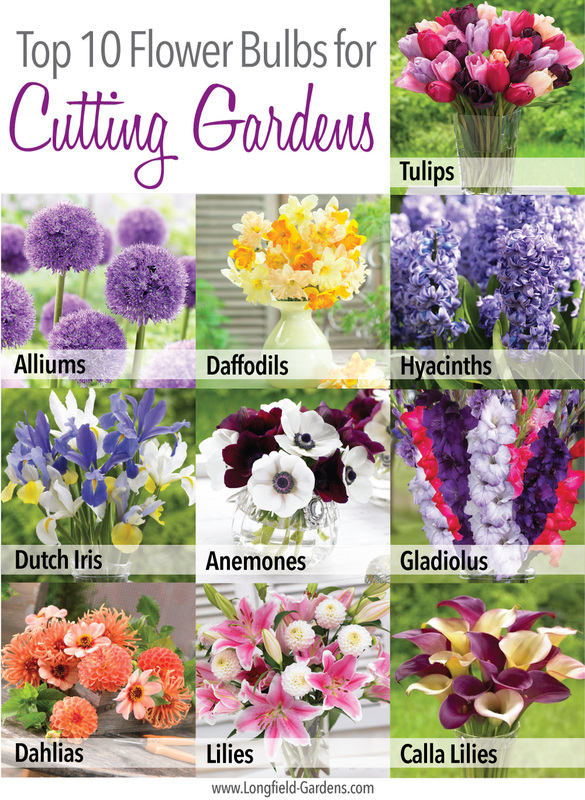 Longfield Gardens also has produced a great info-guide featuring the Top 10 Flower Bulbs for Cutting Gardens. You’re welcome to download and use it with your own customers! 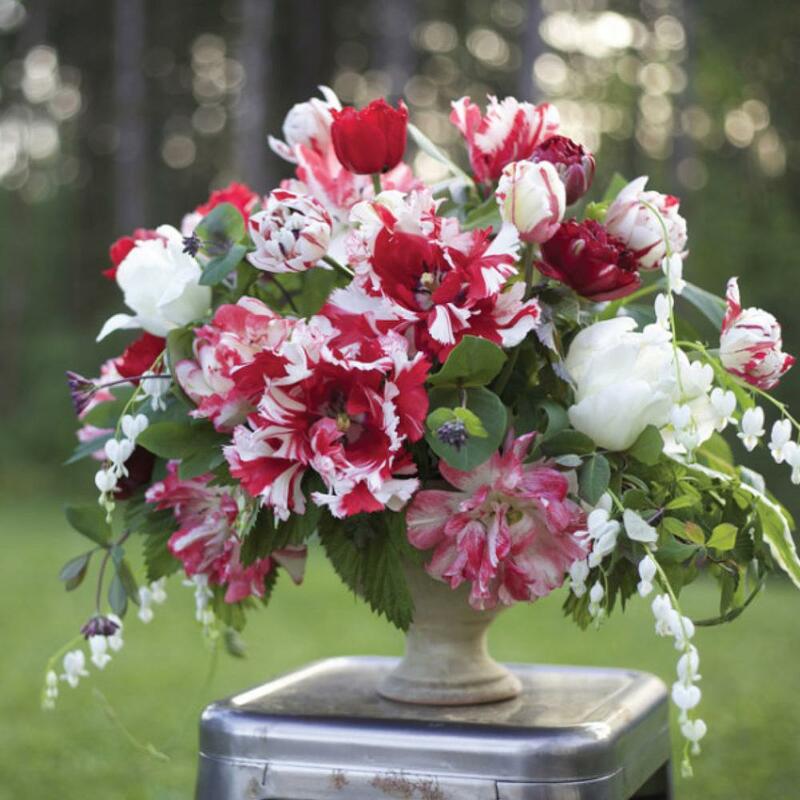 The red and white tulip bouquet, designed by Alicia Schwede from her own cutting garden flowers. One of those NEW-OLD FLORISTS to rely on a cutting garden is Alicia Schwede of Bella Fiore and the Flirty Fleurs blog. Alicia met the folks at Longfield Gardens and agreed to trial some of their bulbs in her own cutting garden in Arlington, Washington. 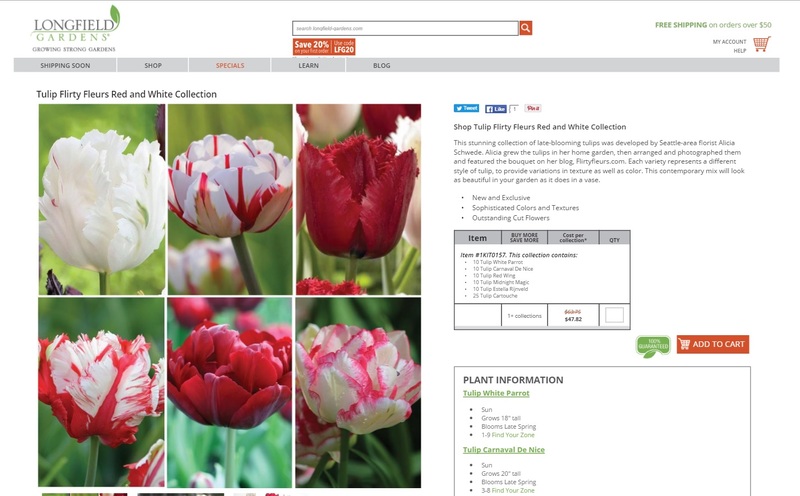 The results are nothing short of gorgeous and thoroughly inspired, as Alicia created the “Flirty Fleurs Red and White Tulip Collection” for Longfield Gardens. This stunning collection of late-blooming tulips was developed by Seattle-area florist Alicia Schwede. Alicia grew the tulips in her home garden, then arranged and photographed them and featured the bouquet on her blog. Each variety represents a different style of tulip, to provide variations in texture as well as color. 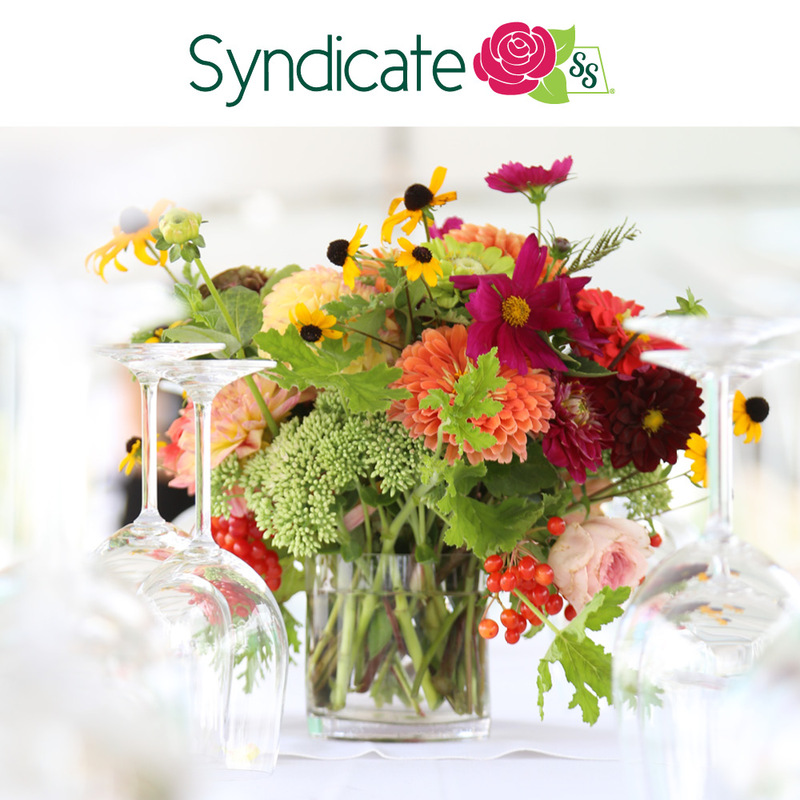 This contemporary mix will look as beautiful in your garden as it does in a vase. The collection is currently on sale for $47.82 and includes 75 bulbs! I hope these resources inspire you to go deep into bulbs for summer and spring floral arranging! It’s coming up on Dahlia Season and right after that, we’ll turn our attention to planting those spring tulip bulbs! 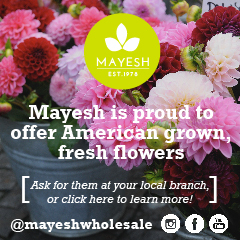 When you do so you’ll be adding to your own American-Grown cutting garden! Thanks Longfield Gardens! 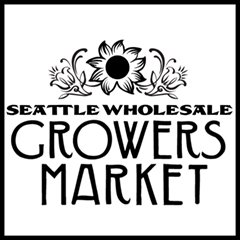 You can join their mailing list for special notices, news and sales by clicking here (signup form is at the bottom of the home page).